What do you think you’re doing this Saturday? Wrong. You’re going to Happy Wackin’ Jim McCrackin. 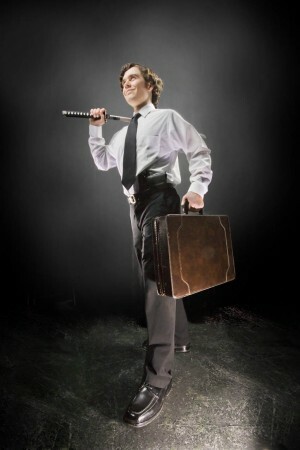 A sword and a briefcase? Now you know you're interested. It’s at the John Dutton Theatre in the Calgary Public Library, at 8 pm. Tickets are $15, $10 for CPL members, and you can preorder at www.pumphousetheatre.ca. So, why are you going? Well, it’s awesome. If I can see through the vodka fueled haze, back to the halcyon days when the comedic playwright genius Amos Altman was reading me snippets of the play in the bohemian apartment we shared over a bakery in Nazi Occupied France, struggling to protect refugees as part of the resistance, well, it’s brilliant. Is is possible I’m misremembering some of it, but I know the play is funny, even if Cliff insisted on removing all the best/gayest parts. It’s a story of mistaken identity and a hitman, and Accidental Humour does amazing stuff where they use multi-media to enhance the show. It’ll flip seamlessly between pre-recorded segments and live action, so it’s like a play and a movie. It’s exciting, and intense, and hilarious, and other words that generate excitement and make you realize you really want to see this show. If you think you can’t get there, shut up. There’s busses. All busses lead to the Calgary library. And I’m not just talking about Calgarians. You can take a bus from Edmonton or Lethbridge, or (shudder) even Red Deer, and then from the Grey Hound station it’s easy to get to the library. Come on, no one’s getting a head chopped off over this. And here’s why you should put in the effort. I shouldn't have to put pictures like this on my computer. Even if you’ve never watched Jersey Shore, you probably know who the Situation is. If not … it’s that guy, obviously. See, too much of our money is going to him. Jersey Shore makes more than Greece each year. As consumers, the people who make entertainment only listen to your money. So you need to take your fifteen dollars, pull yourself away from the TV and come see this play. Well, friends, step into The Wayback Machine, to a year 2001, when a band showed up. Sure, they were rather repetitive, and derivative, but they weren’t hurting anyone. 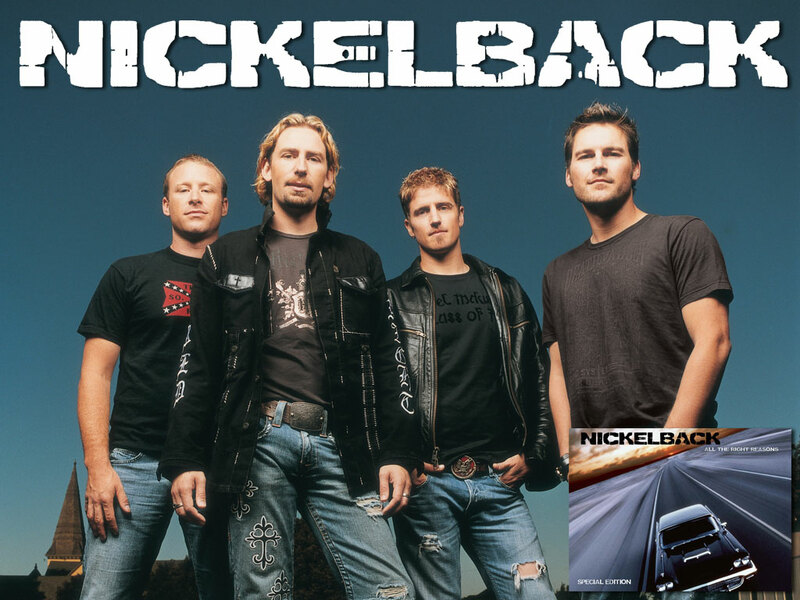 People liked their music, and they sold a gillion dollars in CDs. CDs are a prehistoric medium for storing music, before iPods. You bought them with money, because pirating was hard back then. ...and they're calling from inside your house! So basically, if you don’t go to this show, we’re going to end up with Theory of a Situation, Situationseeether, and a flood of Situation clones. So stop it, before it’s too much, and go watch this instead. Otherwise, it’ll be your fault. We’ll be running around in a post-apocolyptic douchebag wasteland, fighting for gas, Mad Max style, because you were too lazy or cheap to go see a great play.